New research published in Science shows that climate warming reduced the mass of the Cordilleran Ice Sheet by half in as little as 500 years, indicating the Greenland Ice Sheet could have a similar fate. The Cordilleran Ice Sheet covered large parts of North America during the Pleistocene – or Last Ice Age – and was similar in mass to the Greenland Ice Sheet. Previous research estimated that it covered much of western Canada as late as 12,500 years ago, but new data shows that large areas in the region were ice-free as early as 1,500 years earlier. This confirms that once ice sheets start to melt, they can do so very quickly. The melting of the Cordilleran Ice Sheet likely caused about 20 feet of sea level rise and big changes in ocean temperature and circulation. Because cold water is denser than warm water, the water contained by ice sheets sinks when it melts, disrupting the "global conveyor belt" of ocean circulation and changing climate. Researchers used geologic evidence and ice sheet models to construct a timeline of the Cordilleran's advance and retreat. They mapped and dated moraines throughout western Canada using beryllium-10, a rare isotope of beryllium that is often used as a proxy for solar intensity. Measurements were made in Purdue University's PRIME Lab, a research facility dedicated to accelerator mass spectrometry. "We have one group of beryllium-10 measurements, which is 14,000 years old, and another group, which is 11,500 years old, and the difference in these ages is statistically significant," said Marc Caffee, a professor of physics in Purdue's College of Science and director of PRIME Lab. "The only way this would happen is if the ice in that area had completely gone away and then advanced." Around 14,000 years ago the Earth started warming, and the effects were significant – ice completely left the tops of the mountains in western Canada, and where there were ice sheets, they probably thinned a lot. About a thousand years later, the climate cooled again, and glaciers started to advance, then retreated as conditions warmed at the onset of the Holocene. If the Cordilleran Ice Sheet had still been there when the climate started cooling during a period known as the Younger Dryas, cirque and valley glaciers wouldn't have advanced during that time. This indicates a rapid disappearance rather than a gradual melting of the ice sheet. Reconstructing precise chronologies of past climate helps researchers establish cause and effect. 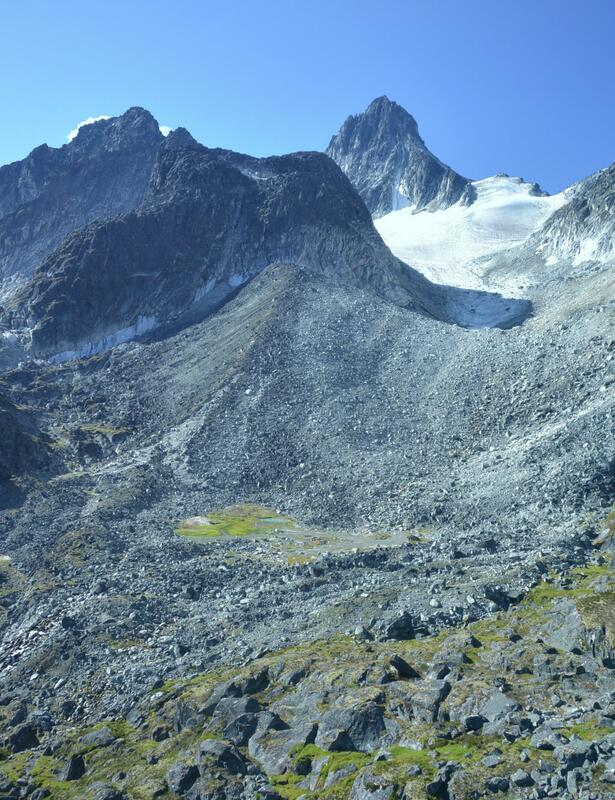 Some have wondered whether the melting of the Cordilleran Ice Sheet caused the Younger Dryras cooling, but it's unlikely; the cooling started too early for that to be true, according to the study. What caused the cooling is still up for debate. Creating a timeline of glacial retreat also provides insight into how the first people got to North America. Current estimates place human migration to the south of the Cordilleran and Laurentide Ice Sheets between 14,600 and 18,000 years ago, but how they got there isn't clear. Some say humans could have crossed through an opening between the ice sheets, but these new findings show that passage was likely closed until 13,400 years ago. This paper should serve as motivation for further studies, said Caffee. Continental ice sheets don't disappear in a simple, monolithic way – it's an extremely complicated process. The more we know about the retreat of the Cordilleran Ice Sheet, the better we'll be able to predict what's to come for the Greenland Ice Sheet.